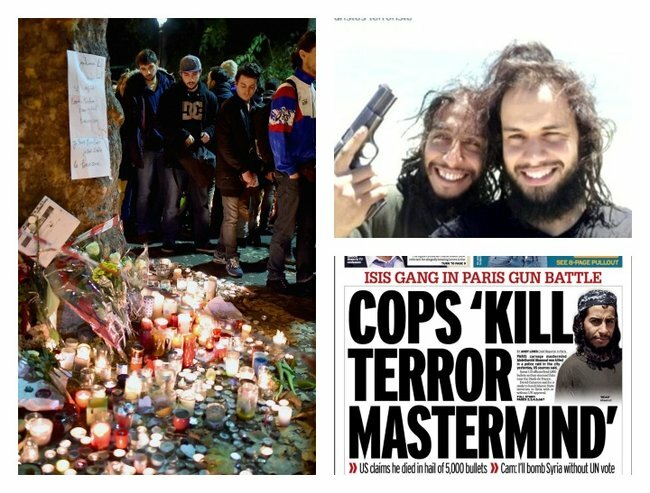 Paris terrorist Abdelhamid Abaaoud is not a mastermind. The man responsible for killing 132 people is not a "mastermind". Until this week, it was a name were weren’t familiar with. 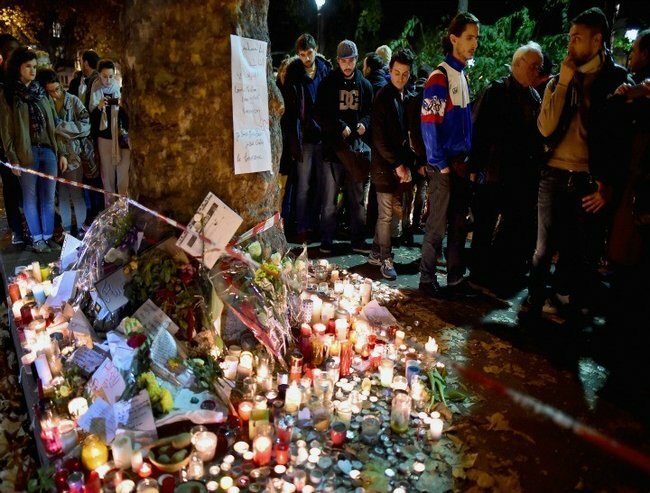 Abdelhamid Abaaoud is the 28-year-old Belgian, formerly of Moroccan origin, allegedly responsible for the deaths of 132 people in Paris last Friday. Many are saying he died in a police raid in the suburbs of Paris this morning. If you’ve been following the news, you would know Abaaoud as the ringleader and the “mastermind” behind the Paris attacks. Abaaoud is the man responsible for the fact a five-year old boy witnessed the murder of his mother at the Bataclan Concert Hall. He is the man responsible for taking a wife from her husband and a child from their father. Abdelhamid Abaaoud is responsible for killing innocent men and women enjoying a night out, a drink in a café, a rock concert, a football game. He is the man who is responsible for the grief thousands of French people are experiencing right now as a result of the terror that has rocked their city over the past few days. And yet over and over again Abdelhamid Abaaoud is being described as a “mastermind”. He isn’t. He is a murderer. He is a man wanted over several botched terrorist plots, a man allegedly involved in running a network to recruit jihadists to Syria. A man pictured gloating as he dragged corpses around a field. Mourners gather to pay their respects to the victims. Via Getty. Amid fears that vulnerable young men and women could fall prey to the lure of the ‘Caliphate’, we need to frame Abdelhamid Abaaoud for what he really is. ‘Mastermind’ is a phrase indicative of an intellectual genius; a term we associate with leaders and statesmen. Historical figures like Napoleon, Churchill and Alexander the Great come to mind when we think of masterminds. Abdelhamid Abaaoud is not a mastermind. He is a pawn in the web of Islamic State. Some US military experts even say he is a foot soldier taking orders from a cell of Islamic State terrorists higher in the warped hierarchy of the group. 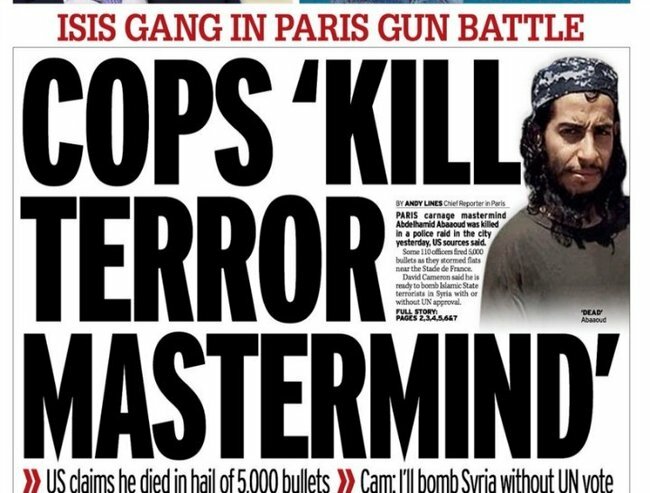 One newspaper proclaiming the “mastermind” was killed in raids. Via Twitter. In giving Abaaoud this title we are buying into the propaganda war that members of ISIS want us to. We are posing him as strong, clever and cunning. An old classmate told a Belgian newspaper what he really thought of Abdelhamid Abaaoud. “He was a little jerk,” they said. Even his own father disowned him. “Abdelhamid has brought shame on our family. Our lives have been destroyed… I never want to see him again,” his father was quoted as saying by Belgian media. A “jerk”, a murderer, a criminal. Certainly not a mastermind.